Rana says it is not just the idea of working with a Hollywood film as big as this that excited him, it was also the fact that he is quite a big fan of the franchise. Actor Rana Daggubati raised the bar for villainous characters when he played the role of Bhallaladeva in director SS Rajamouli’s Baahubali films. And now, in an exclusive chat, the actor reveals that he has dubbed for a character that’s been touted as the most dangerous villain in Hollywood – Thanos – in Avengers: Infinity War. The actor has lent his voice for the Telugu version of the film, which will hit theaters next month. Rana Daggubati says it is not just the idea of working with a Hollywood film as big as this that excited him, it was also the fact that he is quite a big fan of the franchise. “Characters such as Iron Man and Captain America have been my favourites. So, dubbing for Avengers: Infinity War is such a thrill. Lending my vice to Thanos, a villian so poweful that some of the biggest superheroes have a tough time dealing with him is an exciting experience,” said Rana Daggubati. Marvel Studios’ Avengers: Infinity War, which features an ensemble of superheroes, will release worldwide on April 27. The film is releasing in India in English, Hindi, Tamil and Telugu. Rana Daggubati also lent his voice for recently released Telugu film Rajaratham which has Nirup Bhandari and Avanthika Shetty in the lead roles. Directed by Anup Bhandari, Rajaratham is about the journey of a bus for which Rana lent his voice. Rajaratham released on March 23rd, 2018 and has been faring decently in cinema halls. 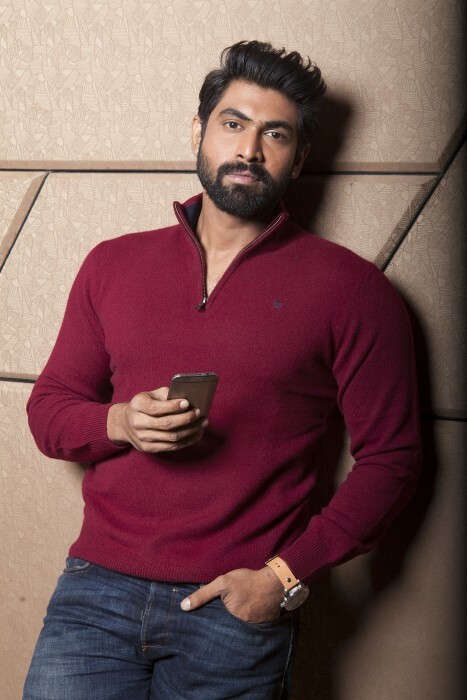 Rana Daggubati currently is working on a slew of films which includes Haathi Mere Saathi, a tribute to the yesteryear actor Rajesh Khanna’s film with same title. Directed by Prabhu Solomon, Haathi Mere Saathi will be a bilingual in Telugu and Hindi, and will be dubbed into Tamil as well. The shooting of the film is currently underway in locations near Thailand and will be shot majorly in interiors of forests.